Founded by Mormon settlers in 1865, St. Thomas was never a particularly large town; at its peak, it was home to 500 residents. 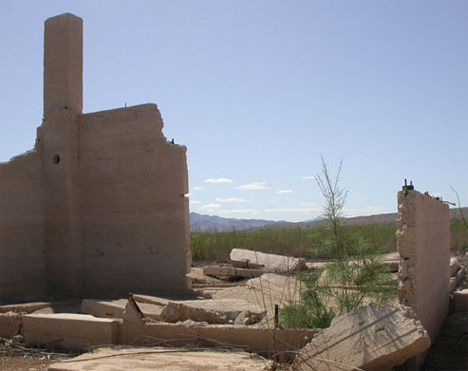 The Mormons abandoned it in 1871 when a land survey shifted the state line of Nevada and the state attempted to collect taxes from previous years in gold from the town residents. Others moved in to claim their abandoned properties, but they weren’t able to stay for long. The construction of the Hoover Dam led to a rise in the waters of the Colorado River, flooding St. Thomas. The final resident left in 1938. 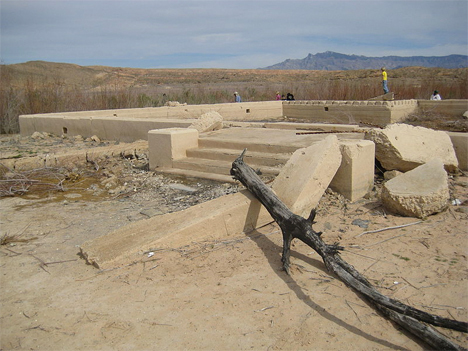 The ruins, which are now part of the Lake Mead National Recreation Area, are visible when the water level is low. 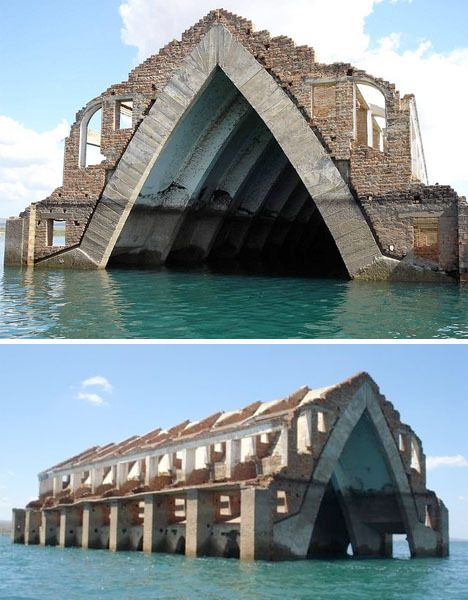 Another church standing as the only visible remains of a submerged town is that of Old Petrolandia, Brazil. With only its vaulted roof sticking out of the water, it looks like an ancient ruin, appearing much more mysterious than it really is. 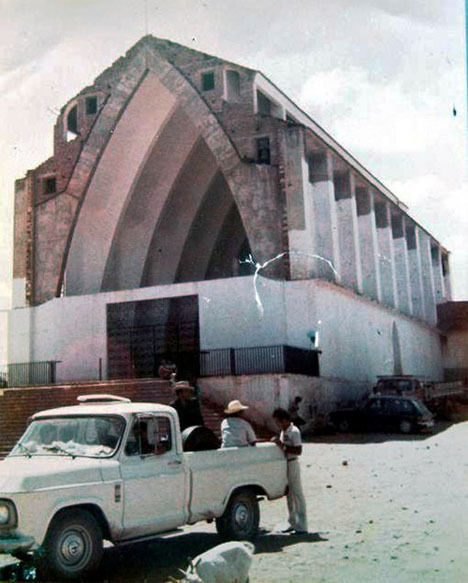 Photos taken before the town was relocated for construction of a new hydroelectric dam reveal a rather unremarkable structure. 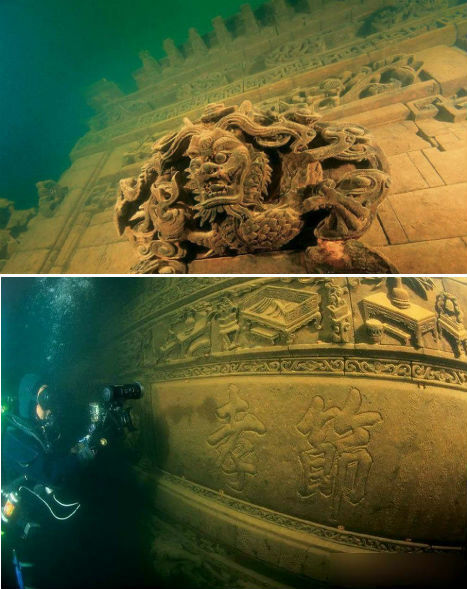 One of the world’s most amazing submerged architectural treasures is located approximately one hundred feet below the surface of China’s Thousand Island Lake (Qiandao Lake). Lion City was built during the Eastern Han Dynasty (25-200 CE) and measures roughly 62 football fields. 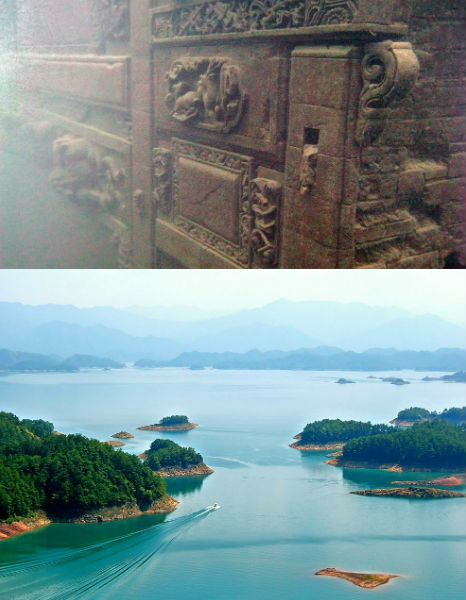 It may be a historical treasure, consisting of jaw-dropping stone structures covered in intricate relief sculptures, but it was intentionally flooded in the 1950s for the creation of a dam. Now that it’s underwater, it’s a popular diving destination, and officials are considering ways to turn it into a tourist destination.